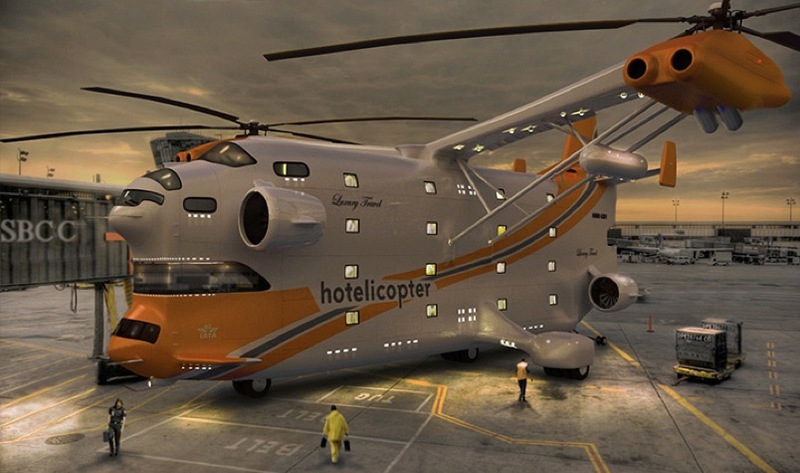 Since 2004, the company behind the Hotelicopter has been working to modify a Soviet-made Mil V-12 into two world firsts: the "world's biggest helicopter" and the "world's first flying hotel." As you might have guessed, the experience on board the Hotelicopter is far from your standard Motel 6. This gigantic flying Titanic machine features everything you would expect from a 5-star hotel—from private entertainment systems and room service to extras like spa treatments, yoga classes, gaming and a tea garden.